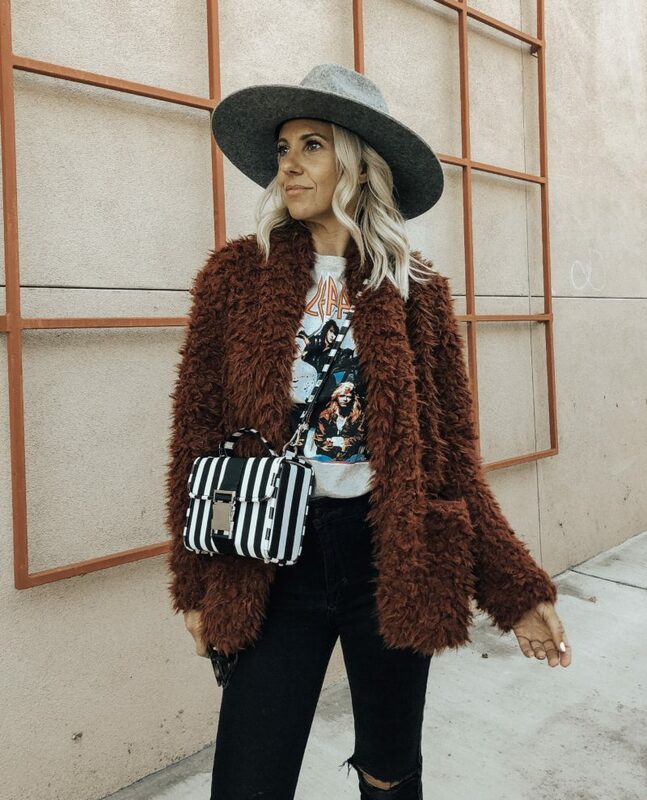 Since I’ve recently joined Reward Style I’ve gotten a few questions on how to shop my looks with LikeToKnow.It app so I thought I would go over it in more detail here. 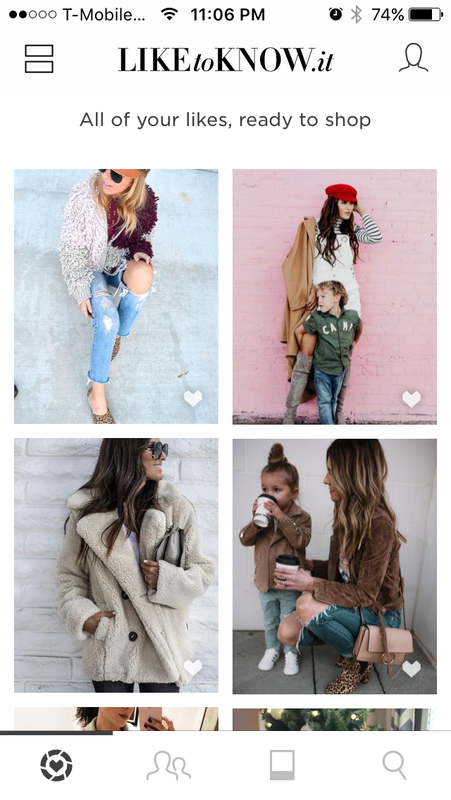 It’s actually really easy and a great way to shop all your favorite bloggers looks in one place. 1- First is by shopping all of your likes and screenshots from Instagram. 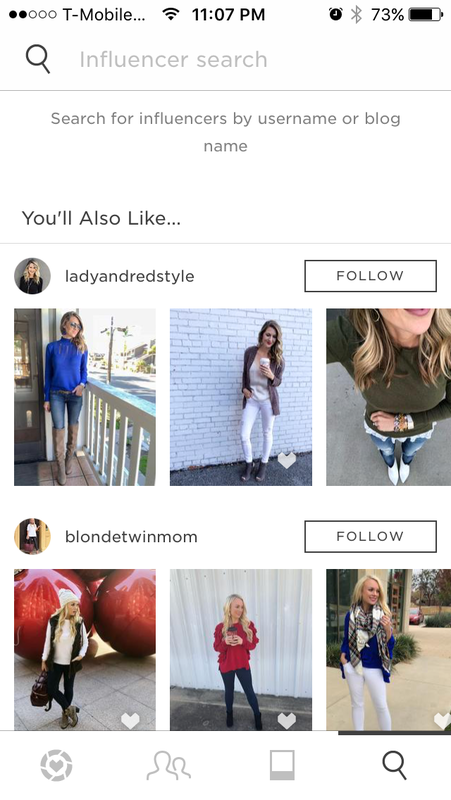 With the app open click on the bottom left heart and all of your shoppable likes and screenshots will be there with the newest on the top. 2- You can also follow specific influencers within the app. Looking at the app you click on the the outline of two people just to the right of the heart on the bottom left corner. All the pics of the influencers you follow will be here with most recent posts at the top. 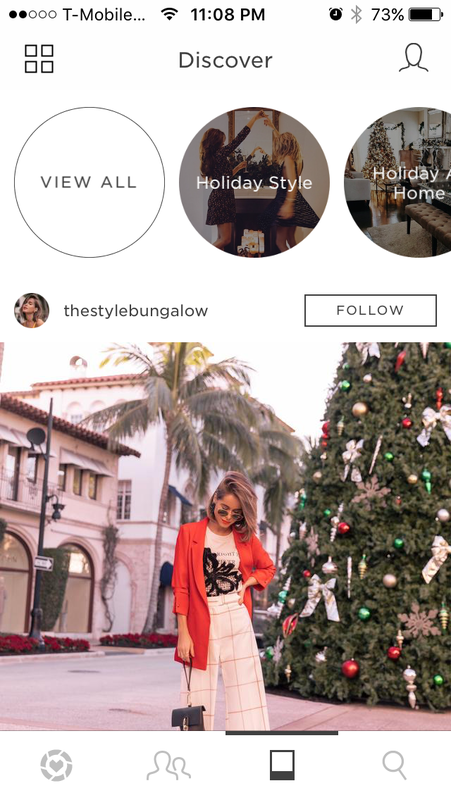 3- You can also utilize the app to discover new influencers to shop. Click on the small square at the bottom to the right of the two outlined people. 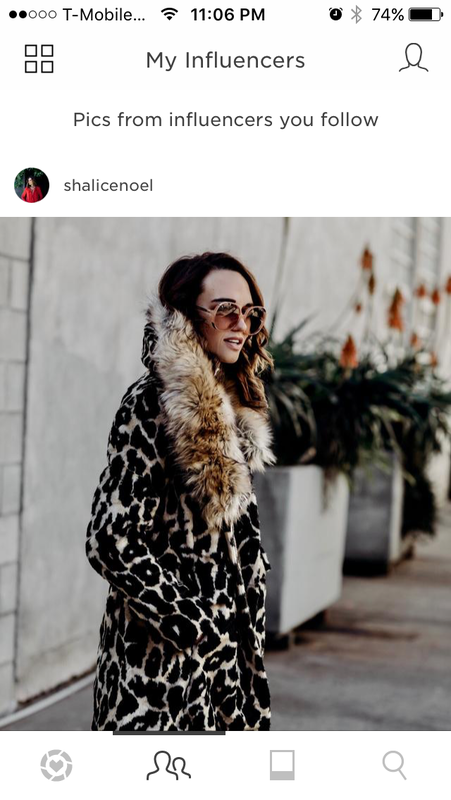 Here there are featured influencers you can check out as well as hashtags that you can search such as Holiday Style, Sale Alerts, and Style Tips. 4- Lastly with the bottom right magnifying glass is a search engine where you can search for certain influencers. The app also recognizes accounts that you have frequently liked on Instagram and offer you suggestions of influencers to follow. 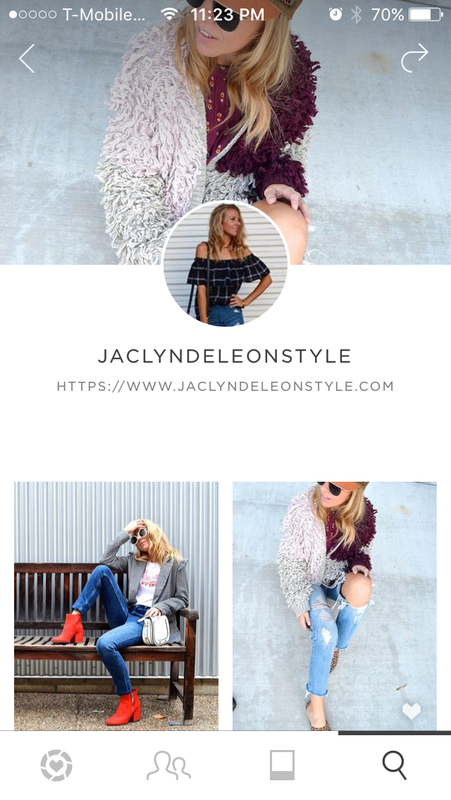 Now under that magnifying glass search engine type in jaclyndeleonstyle. Here are my most recent shoppable Instagram posts. Now click on a pic that you like and you will see all the items that I have linked to that picture. Now click on an item you want and it will take you directly to the retailers website to purchase the item. Below is a graphic also explaining the process and HERE is a quick video you can also check out. Hope this helps simplify the process and please don’t hesitate to ask me any questions.